Invite that special person (male or female) to join you on Thursday, February 8, for a morning filled with good food, great fellowship, lively music and a hair-raising story not told on CNN. 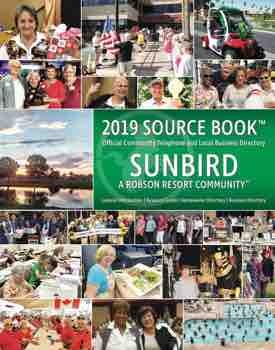 Join us in the Kingston Ballroom of the Oakwood Country Club of Sun Lakes at 9:00 a.m. 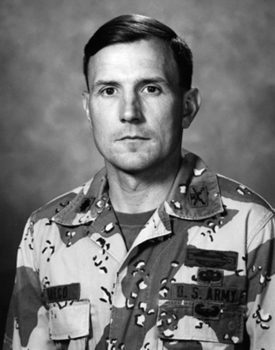 Retired Colonel Tom Greco served in the U.S. Army as an Infantry Officer for over 14 years in peace and war. He has held various staff and command positions in the United States, Europe, Southwest Asia and the Republic of Panama. Tom led an infantry battalion task force of 1,500 soldiers in combat during Operation Desert Storm and was personally decorated for heroism and valor during combat operations deep behind Iraqi lines. He was later appointed by the Secretary of the Army as a Distinguished Member of the 187th Infantry Regiment. We will hear the spine-tingling account of an air assault infantry led by Tom in his talk titled “Storms in Our Lives.” Colonel Greco is a West Point graduate with a master’s degree and postgraduate studies. Retired, he is now living in the mountain town of Cascade, Idaho. He currently serves on various boards and volunteers in many organizations. Do you enjoy hearing the oldies but goodies? You will not want to miss The Swing Generation Quintet. This talented group plays everything from Swing, Dixieland and Ballads to Gospel. They will entertain us in the grandest way. The cost is $20.00. Reservations are required by noon on Thursday, February 1, by emailing Shirley at wcsunlakes@comcast.net or by calling Pat at 480-883-1450 or Nancy at 480-786-8531. Gluten-free/special diet meals must be ordered at time of reservation. Cancellations must be made no later than Monday, February 5, by 10:00 a.m. by calling Cindi at 515-770-7974. A reservation made is a reservation paid. Reservations not canceled must be honored. Please note cost includes brunch, venue expenses, taxes, gratuity, speaker’s expenses, publicity and miscellaneous fees. This event is sponsored by Stonecroft, www.stonecroft.org.